If you’re an iPhone user, there are many times you’ve seen the message on your screen reading “Sorry, no space available!”When this message arrives on your screen while taking a few selfies with your best friends, it’s really irritating. You may even feel like ditching your iPhone forever. It is indeed a terrible feeling to carry an expensive smartphone in your pocket which doesn’t have enough storage capacity. But you’re lucky enough to note that there have been invented different types of gadgets which can boost your iPhone storage in such a way that you never have to again see that horrible message on your iPhone screen. Let’s take a look at some such gadgets which can enhance the storage capacity of your iPhone. Did you know that with i.dime you could add up till 256 GB of added space in your iPhone? When you have enhanced real estate, you will be allowed to capture more photos, store more apps which get stored in your phone memory by default and also retain most of your memories which you had to delete before. Sharing things to another phone will also become much easier. You just have to snap the i.dime and keep it on the USB holder to share 200 photos or a long birthday video. This is the first flash drive, that too wireless, designed in such a manner that it not only works with your desktop but also with your smartphone devices. When you install this iLuun Air, you can quickly, easily and safely transfer your videos, photos, music files and other content between your smartphones, computers and tablets without the requirement for cables, internet, adapters or even the cloud. So, now you know that this device is completely hack-proof and safe. iKlips DUO Plus is yet another effective storage device for extending your iPhone storage and for safely sharing audio, video and image files from one phone to another. This device can immediately expand the iPhone storage by 128 GB and it also works for the iPad. You can carry all your HD movies along with you when you’re out for a trip and bid goodbye to boring flight journeys. The best part is that you can record 4k hours of video without ever having to see the same old message of ‘space running out’ in your screen. Through this device, you can easily move share and copy data between your smartphone device and computer. Dash is till date the most technically advanced microSD card reader which you can use for your tablets, smartphones and computers. You will get Dash in 3 unique versions, Dash-i, Dash Micro G3 Type-C and Dash-i Plus among which the second one offers you a better design with elegant and simple lines. 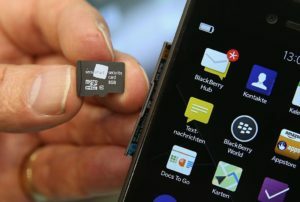 This microSD card allows you to write and read from your Micro SD card on your computer, smartphone and other devices as well. When you have the Picture Keeper Connect storage device for your smartphone, you will never require deleting any more photos just to empty up storage. Since this device has the ability of double the storage of your phone, you will never require deleting any apps for freeing up space. Hence, if you’re someone who is wondering about the ways in which you can extend the storage capacity of your iPhone, you should definitely consider the above mentioned apps to bid goodbye to storage issues.